WWJD: What Would Jim Do? I took this photo in 2009. I was visiting Tracey Tawhiao’s salon on the first floor of St Kevin’s Arcade to get specs for two exhibitions I produced there that year. And Jim popped in, and we sat in the afternoon sun and caught up. Jim Vivieaere passed away on Friday 3 June 2011. I heard through cell phones and text messages and I cried all afternoon. 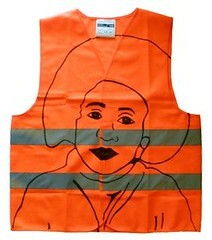 Jim was pivotal in my life and thinking, my work in exhibitions, advocacy and curating. Under Jim’s guidance, I got my first taste of curating assisting him to produce a show called Niu Dialogue in 2004 at The Edge in central Auckland. I remember feeling so excited after that gig, because I felt like he gave me the trade secrets, the ‘how to’ of curating… I observed how he selected works, considered them in the space, his gracious hosting, his beautiful themed catering, his aura. He was awesome. I feel like that experience ignited my fire for curating and the artform and importance of representing artists. 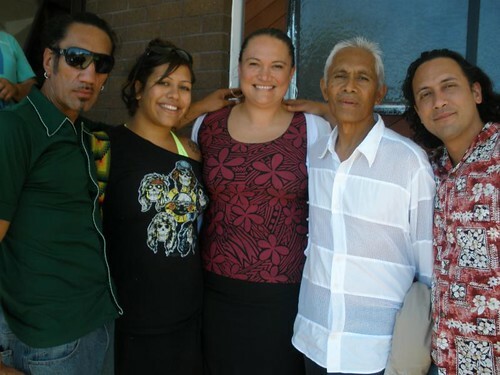 During my undergraduate studies, I researched Jim’s curatorial and visual arts practice; it represented to me a bold and articulate statement about Pacific diaspora experience. His work and its recognition in mainstream institutions, publications and communities, was so empowering and validating. At the time, Jim was also supporting the exhibition of student work from Sir Edmund Hillary Collegiate at Otara’s Artnet Gallery (now Fresh Gallery Otara). I witnessed him working with the same measure of professionalism and artistic integrity at the grassroots as he did in major art institutions. 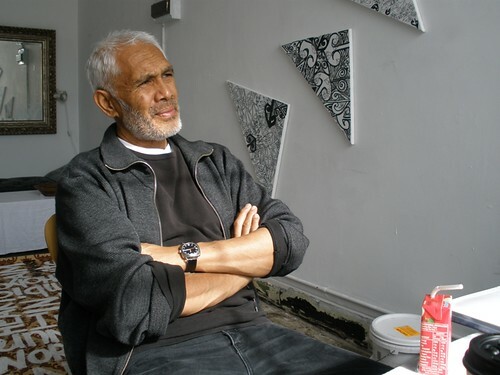 In 2010, I organised the Curating Pacific Art Forum and Jim spoke with such eloquence about his practice and the struggles and opportunities of working as an independent curator. We all acknowledged Jim that day. 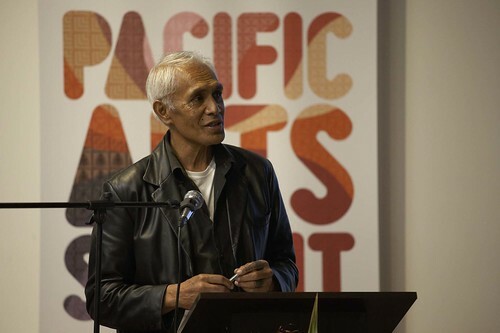 An absolute leader in curating Pacific art. 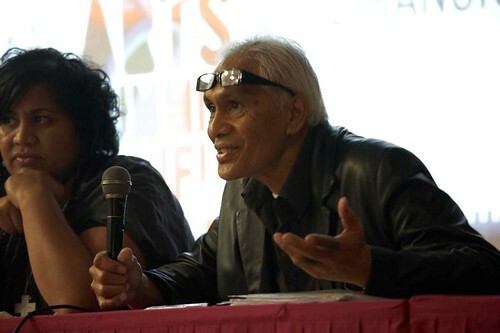 I loved how hard Jim would fight to impress a point, whether at an exhibition opening or a Tautai Trust gathering… he was such an inspirational, passionate advocate for Pacific art and artists. 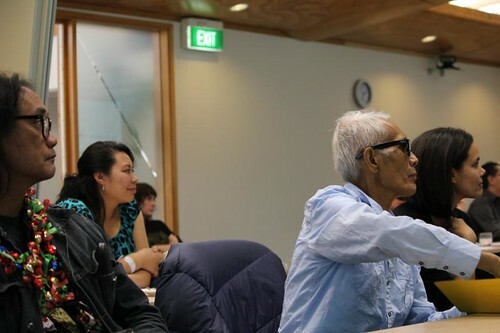 This year, I was so humbled that even in ill-health, Jim attended the 2nd Curating Pacific Art Forum. It was noted that we all have ‘Jim stories’ – the many, many ways Jim has influenced our lives and practices as Pacific curators. Jim’s passing has made me reflect hard. I’ve been thinking about how everything matters… the legacy that is left from the work we do will influence and inspire those that come after. I feel like my curatorial practice is the product of Jim’s influence, and I want to honour his work and fight in everything I produce. I think I’ll always think of Jim, in every show that I curate and ask myself, What Would Jim Do?